Imagine you are taking a break from an afternoon of fishing on the waters off Ketchikan, Alaska, relaxing on the deck of The Sierra Dawn, when you hear the unmistakable swooosh to your left. You swing your head in that direction and there it is—a whale tops the surface for a breath of air. And then another appears even closer to your position on the boat, and though you can’t be sure, you think that one might have made eye contact with you. Moments later, a splash of water and a whale the size of an office building breaches and slams the surface of the ocean with a majesty that TV just cannot capture. 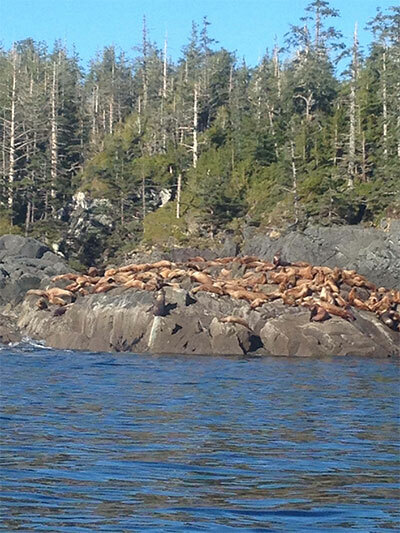 Wildlife Viewing Ketchikan, Alaska on a Private Charter. Alaska is rightly known for its abundant wildlife. There is no better place than Ketchikan and no better private charter service than Anglers Adventures to give you access to some of the most amazing wildlife viewing available anywhere on the planet. Brian Ringeisen is captain of The Sierra Dawn, the boat that provides you with the tools you need to do some of the best fishing you will ever do with many of the creature comforts of home. Life is good on The Sierra Dawn, and 2019 promises to be an excellent year for booking your wildlife viewing adventure. Out on the waters off of Ketchikan, you will experience fishing unlike anything you have experienced before. For many clients, the fishing alone is enough to create the adventure of a lifetime. “Fishing alone” rarely describes a charter with Anglers Adventures. 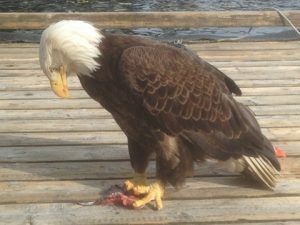 That is because Ketchikan and the surrounding areas offer a diverse array of species, both ocean-based and land-based, and some that are equally comfortable on both. You may see sea seals or sea lions and otters in the water or on the shores. Further in, you may catch a glimpse of a wolf, a lynx, or the leader of the pack, the grizzly bear. If you have a love for wildlife viewing but have not yet indulged in an adventure on the waters of Alaska, you owe it to yourself to find out more about the possibilities. Give us a call at 907-254-0880 or send an email to brian@anglers-adventures.com and we will be happy to discuss the possibilities with you.